In today’s world, some degree of education is necessary for people in most countries. Education is the means through which the aims and habits of a group of people are passed from one generation to the next. Location contributes to a child’s lack of access to primary education. In certain areas of the world, children have difficulty getting to school. 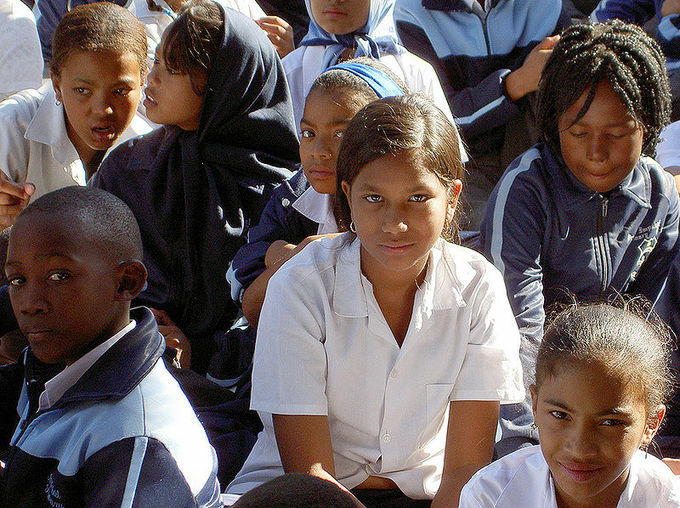 Gender often factors into a child’s access to education. Costs contribute to a child’s lack of access to primary education. High opportunity costs are often influential in the decision to attend school. Mass schooling has perpetuated the idea that everyone has a right to be educated regardless of his/her cultural background and gender. A lack of access to education is one of the primary barriers to human development. In today’s world, some degree of education is necessary for people in most countries. Due to population growth and the proliferation of compulsory education, UNESCO has calculated that in the next 30 years, more people will receive formal education than in any prior period of human history. In fact, illiteracy and the percentage of populations without any schooling have already decreased, from 36% in 1960 to 25% in 2000. Education in its broadest, most general sense is a means through which the aims and habits of a group of people is passed from one generation to the next. Generally, education results from any experience that affects the way in which one thinks, feels, or acts. In its narrowest, most technical sense, education is the formal process (e.g., instruction in schools) by which society deliberately passes accumulated knowledge, skills, customs, and values from one generation to the next. India is developing technologies that bypass land-based telephone and internet lines. The country recently launched EDUSAT, an education satellite that can reach a great number of people at a significantly reduced cost. Another initiative, started by the OLPC foundation, involving a group from the MIT Media Lab, and supported by several major corporations, has developed a $100 laptop for the delivery of educational programs. As of 2008, the laptops were already widely available. In Africa, the New Partnership for Africa’s Development (NEPAD) has launched an e-school program. 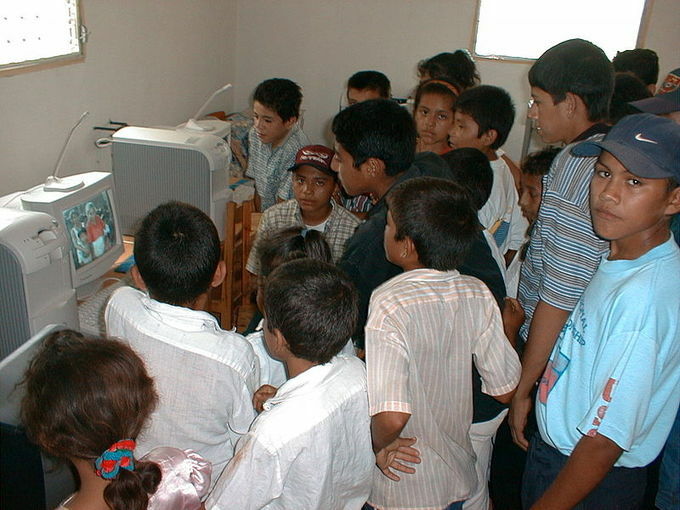 The goal is to provide 600,000 primary and high schools with computer equipment, learning materials, and internet access within 10 years. Private groups, like Church of Jesus Christ of Latter-day Saints, are also working to improve access to education through such programs as the Perpetual Education Fund. Education is becoming increasingly international, and mass schooling has promoted the fundamental idea that everyone has a right to be educated regardless of his/her cultural background. In Europe, for example, the Socrates-Erasmus Program fosters exchanges between European universities, while the Soros Foundation provides educational opportunities to students from central Asia and eastern Europe. Programs such as the International Baccalaureate have also contributed to the internationalization of education. Some scholars argue that, regardless of the perceived quality of different educational systems, experiencing a different system of education can be an important and enriching aspect of an international learning experience. Meanwhile, the global online campus, led by American universities, has promoted free access to class materials and lectures recorded during actual classes. This project further facilitates the globalization of education. The emergence of secondary education in the United States did not occur until 1910, when a rise in big business and technological advances in factories (for instance, the emergence of electrification) required skilled workers. In order to meet new job requirements, high schools were created with curriculums focused on practical job skills that would prepare students for white- or blue-collar work. This emerging system proved to be beneficial for both the employer and the employee; improved job skills increased efficiency and lowered costs for employers, while skilled employees received higher wages. Indigenous education refers to the inclusion of indigenous knowledge, models, methods, and content within formal and non-formal educational systems. Often in a post-colonial context, the growing recognition and use of indigenous education methods has been a response to the erosion and loss of indigenous knowledge and language through earlier processes of colonialism. It has also enabled indigenous communities to strengthen links to their traditional languages and cultures, a process that has also been linked to increased academic success. Higher education generally involves work towards a degree-level or foundation degree qualification. In most developed countries, a high proportion of the population (up to 50%) now obtain higher education at some point in their lives. Higher education is therefore important to national economies as both a significant industry in its own right and a source of trained and educated personnel. As a result of the Internet, higher education is increasingly open and accessible. Online learning gives students flexibility and choice in terms of what, when, and at what pace they learn. Many universities and organizations are creating open educational resources that self-motivated students can access anywhere and at any time. Unlike traditional forms of higher education, open, online education generally does not take the form of recognized degree programs. Education in the Middle East: Students from the Hala Bint Khuwaylid secondary girl’s school in the Amil district of Baghdad, pictured with new school bags containing pens, pencils, notebooks, calculators, and other school supplies: USAID is funding the purchase and distribution of 1.5 million school bags through a partnership with Creative Associates International. All Iraqi secondary students will receive bags.